2013 Osprey Census: So far, so good! I just wrapped up the most intense field season in my entire career. In cooperation with NJ Fish & Wildlife’s Endangered and Nongame Species Program I help to monitor and manage the state population of ospreys. 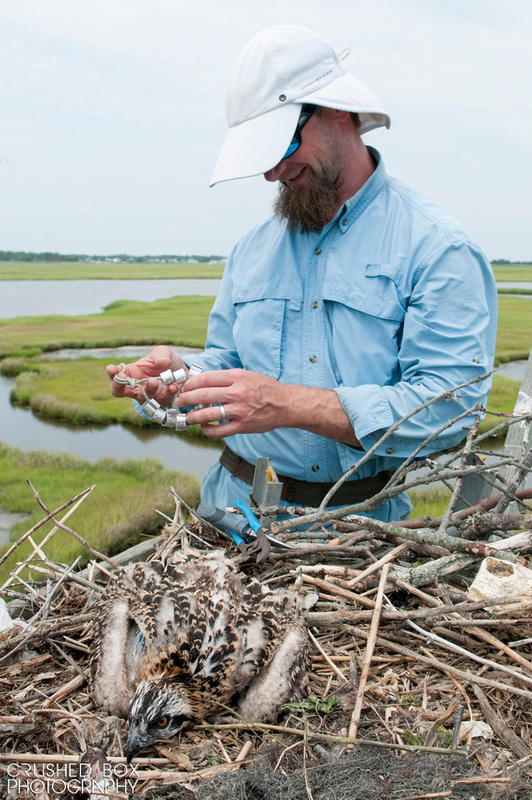 For the first time in four years we are conducting a statewide census for nesting ospreys. Almost all areas that I’ve surveyed, from Monmouth Beach to Atlantic City (and Wildwood) have done quite well, and the effects of Sandy on nesting ospreys appears to be minor. Barnegat Bay is an area where I’ve concentrated much of my work. Over the past 5 years the number of available nesting platforms has tripled, from only a handful to over 50. Almost every platform was active this year. 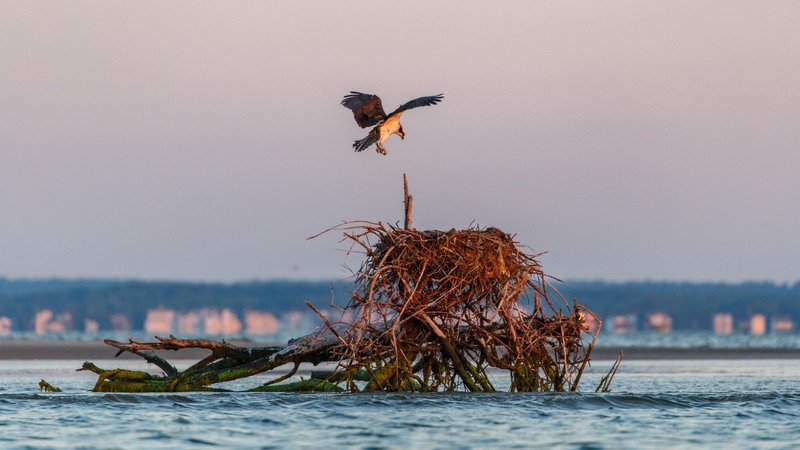 Amazing enough, this year on Barnegat Bay, a total of four nests produced four young each (one can be viewed on a live streaming camera at Island Beach State Park)!! This is quite a rare occurrence and is something I’ve never seen, especially for all of them to be on the same watershed is simply amazing!! Full results from all the surveys will be released in early fall. All of the data collected from surveys will be used in the census and we are looking for the public to help fill in valuable gaps in data. Ospreys are indicators of a healthy marine environment. Ospreys are top tier predators who feed exclusively on fish. Many contaminants runoff into our coastal waters and over time become biomagnified through the food chain. Ospreys are extremely sensitive to many contaminants, including organochlorine pesticides (DDT), polychlorinated biphenyls (PCBs), and heavy metals. Since ospreys eat the same fish that we do, then their health also has implications for people. So, the bottom line is that it is important to monitor the nesting activity of ospreys in New Jersey! For the first time in the project’s history we’re attempting a statewide census of nesting ospreys without the use of aerial surveys! This was a common (and very effective) way of surveying large areas in a short amount of time with only very minimal staff effort. Some things have changed since the 1970s and 80s….the survival of ospreys are not in jeopardy and helicopter surveys are much more expensive now! Over the past 6+ years, with help from many dedicated volunteers, we have surveyed around 70% of the known population in New Jersey. 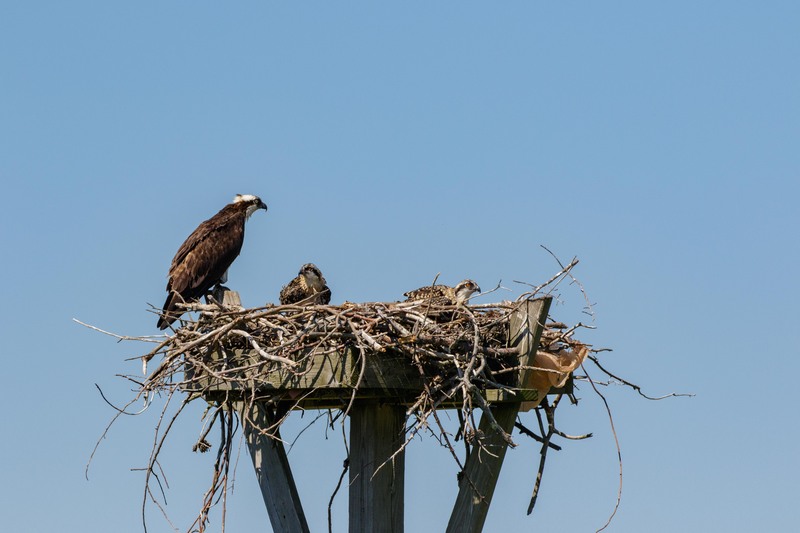 This year, CWF and NJ Fish & Wildlife’s Endangered and Nongame Species Program decided to release the locations of almost 1,000 known nest sites for ospreys to the Center for Conservation Biology’s Osprey Watch, a global osprey watching community website. Posted in Raptors, Wildlife Protection | Comments Off on 2013 Osprey Census: So far, so good!